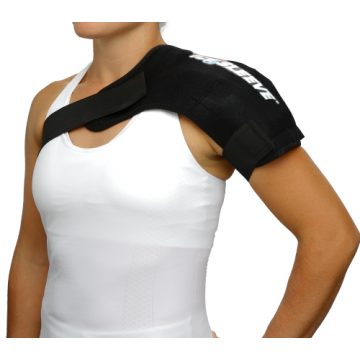 These shoulder ice wraps come in two sizes to accommodate most people. The large fits chest sizes up to 50" and has a larger cold coverage area. 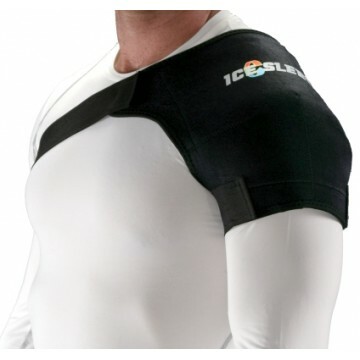 The medium fits chest size up to 40" and has a more targeted cold coverage area. 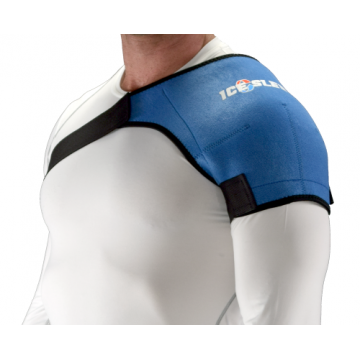 This Ice Sleeve shoulder ice wrap is comfortable and one of the easiest shoulder ice wraps to put on.. 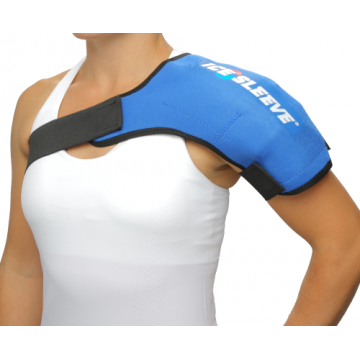 This Ice Sleeve shoulder ice wrap is one of the most comfortable and easy to use shoulder wraps avai..